Many federal employees are feeling the impact of the government shutdown. Without a paycheck, individuals are having to choose between paying for their rent, mortgage, car, gas, and even food. Feeding South Florida is here to help. Friday, January 25, 2019 | 10:00 a.m. – 2:00 p.m.
Friday, January 25, 2019 | 2:00 p.m. – 5:00 p.m.
Tuesday, January 29, 2019 | 12:00 p.m. – 2:00 p.m.
Wednesday, January 30, 2019 | 11:30 a.m. – 1:30 a.m.
Thursday, January 31, 2019 | 1:00 p.m. – 3:00 p.m.
Thursday, January 31, 2019 | 10:00 a.m. – 1:00 p.m.
Friday, February 1, 2019 | 10:00 a.m. – 2:00 p.m. Feeding South Florida assists individuals directly! We provide both perishable and non-perishable items in our Choice Pantry. Click here to learn more. Feeding South Florida partners with approximately 300 nonprofit partner agencies throughout the quad-county area. To find additional food pantries near you, just enter your zip code on our agency locator, found here. Much like natural disasters, during the government shutdown, resources are stretched thin and the need for emergency help increases. However, unlike natural disasters, we cannot rely on the support of our sister food banks as they are all feeling the same impact. Therefore, we’re relying on our community to assist with our response. Monetary donations are the most effective way to make an immediate impact as it gives Feeding South Florida the ability to mobilize quickly. For every $1 donated, we can provide 6 meals. Certainly FSF needs both food and funds to help our neighbors in need of assistance. It can be helpful to consider, however, that for every $10 contributed to our mission, we can distribute $120 worth of food. 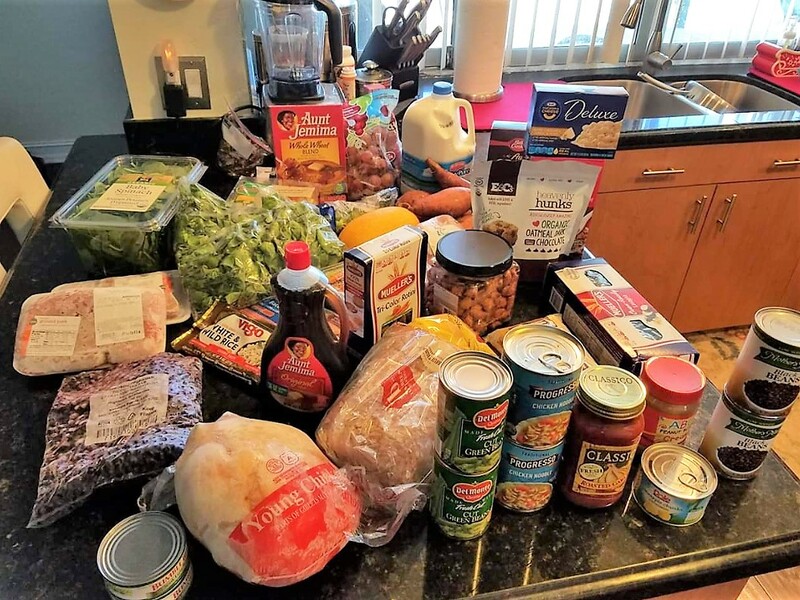 That’s up to twelve times more food than you access at retail (or even wholesale club) prices if you bought it yourself and donated the food! Donate here. The most needed items at this time are diapers, baby formula (no glass jars), baby wipes and gas cards. If you’d like to donate food items, we’re asking for cereal, oatmeal, pasta and sauce, rice, beans, and peanut butter. Low-fat and low-sodium items preferred. Register your Food + Fund Drive here. To help us distribute more food and faster, we’re most in need of volunteers at either warehouse location. Register for a shift in our volunteer room to help help inspect, sort, and package food for families. Click here to find available shifts, Tuesday-Saturday from 8:30 a.m. – 11:30 a.m. or 1:30 p.m. – 4:30 p.m. We welcome individual volunteers age 12+ and groups as large as 100 people!